Indispensable coverage for anyone responsible for the health and safety of employees, and those who represent injured employees. First published in 1977. 5 Volumes in Full set. John M. Hament is a partner in the law firm of Kunkel Miller & Hament, resident in the Firm's office in Sarasota, Florida. He counsels and represents employers throughout the country in labor relations and employment law matters, with particular emphasis in the area of Occupational Safety and Health Law. Mr. Hament's and the Firm's practice also includes federal and state discrimination law, collective bargaining negotiations, arbitration, union organizing campaigns, unfair labor practices, strikes, union avoidance, EEO, personnel policies development, administrative and court proceedings, wage and hour law and defense of wrongful termination claims. The law firm has particular expertise in employee leasing/PEOs, health care and education employment law. Mr. Hament has extensive experience in OSHA standards compliance, as well as management's rights and obligations during OSHA worksite inspections. He represents the interests of management when citations are issued, including informal conferences, formal evidentiary hearings and administrative and judicial appeals. 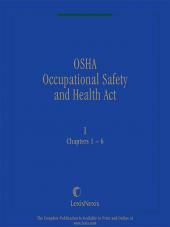 He has participated in OSHA rule-making proceedings and conducted numerous OSHA seminars and instructional sessions. Mr. Hament received a Bachelor of Arts degree from The Johns Hopkins University and a Juris Doctor degree from the University of Baltimore School of Law. He is a member of the Florida Bar and Maryland Bar, and the Labor and Employment Law Sections of the Florida Bar and the American Bar Association. Mr. Hament has authored or co-authored numerous articles on labor and employment law and is a frequent lecturer at labor relations seminars and trade association forums. He has also appeared before state legislative committees as an expert witness on labor relations matters. 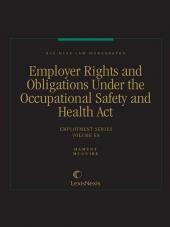 Mr. Hament has served as a contributing author to four treatises published by Matthew Bender & Co., (N.Y.): Occupational Safety and Health Act; Employer Rights and Obligations Under The Occupational Safety and Health Act; National Labor Relations Act: Law & Practice; and Employment Law Deskbook. He is also the co-author of Maryland Handbook on Labor and Employment Law, which was published by the Maryland Chamber of Commerce. Roger S. Kaplan is a Partner in the Long Island office of Jackson Lewis LLP. 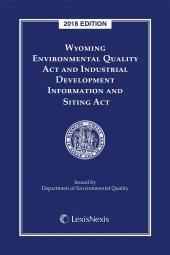 He has represented clients and appeared before executive departments and administrative agencies, such as the United States Department of Labor (Occupational Safety and Health Administration), the Occupational Safety and Health Review Commission, the National Labor Relations Board, and the Equal Employment Opportunity Commission. On behalf of a client association, he participated in negotiations with OSHA's national office concerning implementation of a crane safety standard. He also has appeared before many federal and state courts, including the United States Supreme Court. As leader of the Drug Testing and Substance Abuse Management Practice Group, Mr. Kaplan has worked with many employers to help assure that their drug and abuse testing policies and procedures comply with the state and federal laws and to develop effective testing strategies. Mr. Kaplan also is active in the Firm's OSHA practice. The appendices listed in Volume 4 correspond with the chapters found in Volumes 1 and 2. The appendices listed in Volume 5 correspond with the chapters found in Volume 3.